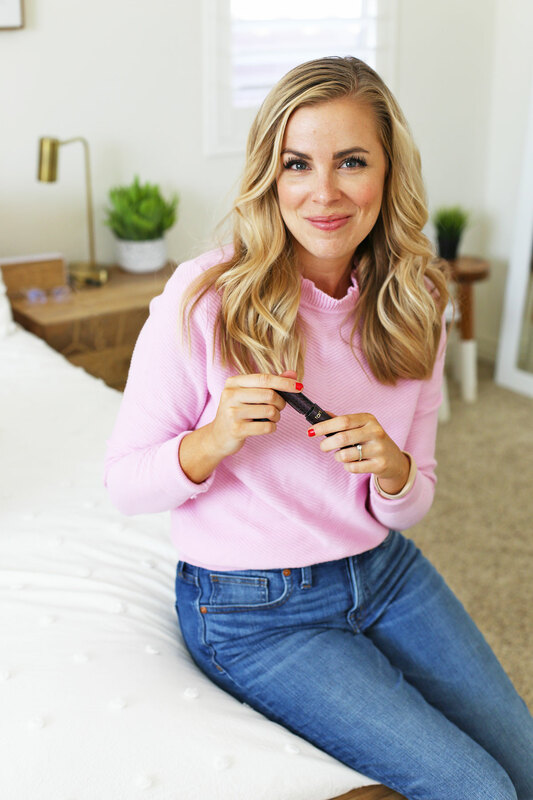 September Monthly Favorites – This time, I’ve got a beauty pick, fantastic flats for fall & winter, an organization go-to, books, podcasts, and a new monthly superlatives feature at the end! Friends! It’s monthly favorites time! I’m doing it a bit early this month since I’ve got a fun master bedroom reveal coming next week (with ALL the details!). This time, I’ve got a beauty pick, fantastic flats for fall & winter, some organization hacks, books, podcasts, and a new feature at the end! You can see in the picture above, it really lifts those lashes! The Baskets I use for ALL The Things. We keep them in our closets to manage everything from accessories to batteries and lightbulbs. And we even have a thin version for organizing some of our drawers. It was my birthday this month (yay!) and I celebrated by picking out a few pairs of flats for the fall and winter. I LOVE THEM. 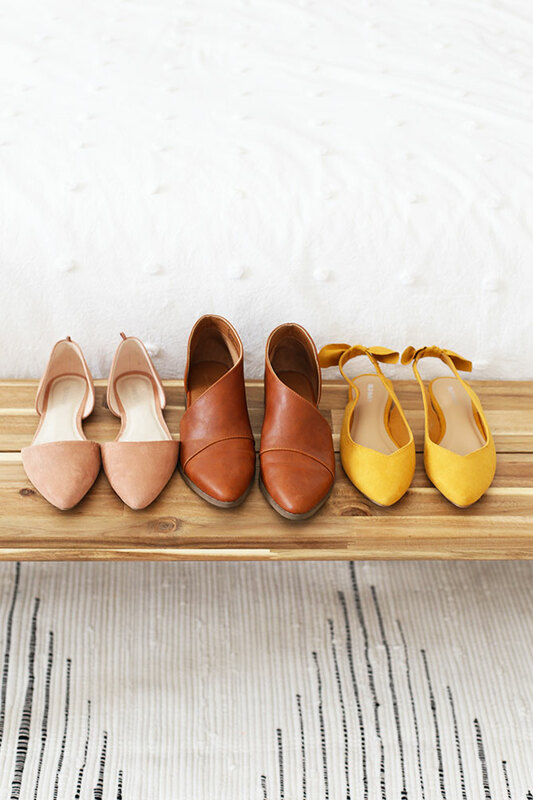 First, there’s these cute bow-detail slingbacks (I got the mustard, but love the blush!). I’ve been plowing through audiobooks since my kids have been back in school and really enjoyed Nevermoor: The Trials of Morrigan Crow (which has a fun Harry Potter-type vibe but isn’t trying to be Harry Potter), and the Sherry Thomas Lady Sherlock series, which has a fun female-cast Sherlock spin to it. I read the first and second ones, and I’m SO excited for the third one to come out October 2nd. New Podcasts to Listen To! My friend Jen just launched a Real Life, On Purpose podcast. The first few episodes are great! She and I have similar tastes in podcasts, so I can only imagine the next many episodes will be great, too. I’m also enjoying Miranda’s Live Free Podcast, which is a great resource for creativity, minimalism, and intentional living. 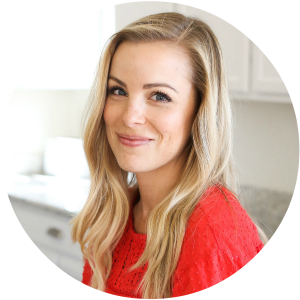 Lastly, Kristin of Live Simply just launched Live Simply, The Podcast, a fabulous healthy eating resource that covers all sorts of concepts–from what it means to eat real food, ideas for tackling picky eating, and so much more. Kristin always puts out INCREDIBLE quality work, and so far, I’ve been mega-impressed. 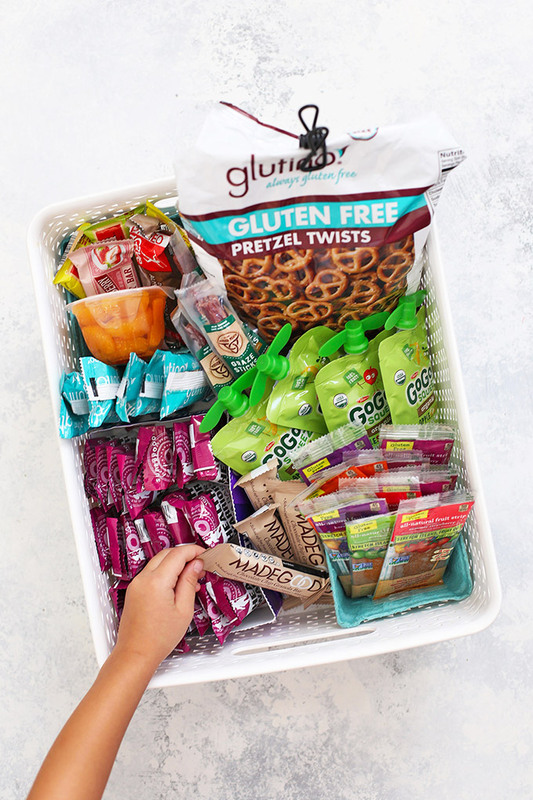 Most Popular IG Photo: This tip about keeping a “lunches & snacks” basket in the fridge and pantry with easy to grab items. Our fridge has washed/cut produce, sandwich fixings, muffins, etc. This post shares a bit of our pantry basket. Those are my picks and faves from the month, friends! What are yours? PS – If you like monthly faves, I bet you’d LOVE the One Lovely Life Newsletter. 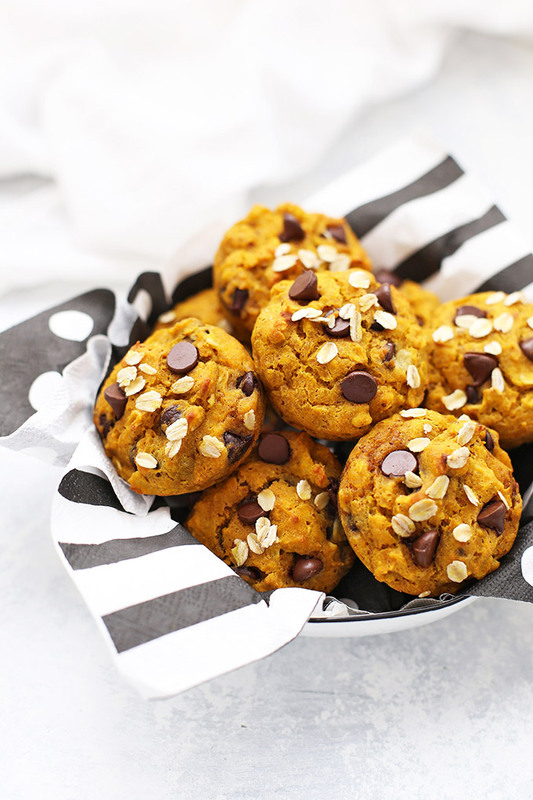 Each week, I send out goodies like recipes, tips, tricks, and freebies along with some weekly favorites, and news from the week. You can sign up here if you don’t want to miss out! Love, love, love! 💕 Those baskets are a game changer—I have the white ones in my kitchen and bathrooms, gray for my collect-all-the-things basket (that I go through regularly) and the black ones for all of our electronics/entertainment /shoes. SUCH an easy way to organize, right? I love it. So glad you love them, too!!! I have a few of those baskets too. I need more! Love the cute shoes. Hope you had a wonderful birthday. I bought a dozen of those baskets for the new house and need more! Can’t wait to dig into the podcasts, I’m just getting into them, and I’m always on the lookout for cute shoes! Love this post! Aren’t the the BEST?! I don’t even want to guess how many I own. Love this blog already and I’ve only just begun.